Congratulations to all your winners. So many! I loved this book as well. I've never read a graphic novel. But since you and Rosi loved this one so much, I will see if my library has it. Thanks. 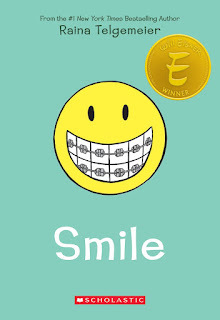 I just had a young friend get braces and had forgotten about this book. I will be sure to get him a copy, but only after I read it again myself! Thanks for the review. I haven't read her book and probably should. Kids are so mean, but a lot of kids wear them now. In fact I just finished orthodontia work. So different than when I had it in high school. I should read this one. Our great granddaughter is wearing them now. Thanks so much for the review. And thank you for your give a ways - I received my book today! Wow! Look at all those winners. Congrats to everyone! 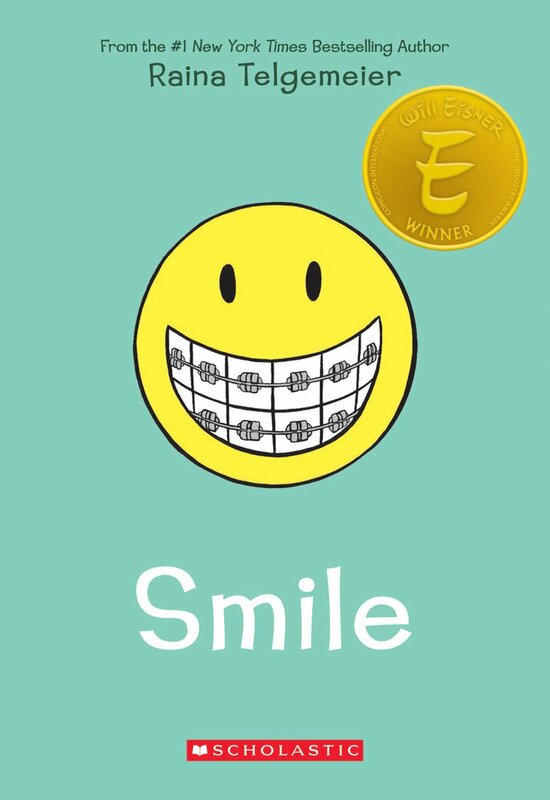 I have heard great things about Smile- but I haven't read it yet. I do love graphic novels, so I will have to check this out soon. Thanks for sharing!